I love breakfast foods. There is something comforting and great about a giant stack of pancakes, whether they are eaten at 6 in the morning or 6 at night. Breakfast also always reminds me of my mother. Growing up weekday mornings where always rushed, but weekend breakfast were perfect. My mother would cook, we would talk and everything seemed right in the world regardless of what was going on outside of our family unit. Now as an adult I try to carry on this tradition with my own family. One of my family's favorite breakfast foods is smoked salmon, they love it with eggs, omelets, you name it. Today I tried a new recipe for Savory Smoked Salmon and Potato Chip Brunch Muffins from the April 2014 issue of Better Homes and Gardens Magazine. This recipe has 12 ingredients. It takes 40 minutes, 25 minutes of which is active, and makes 12 servings. I only made a few changes to the original recipe. Since I was making this for my family and not myself I used regular all-purpose flour. I chose to use parchment to line the muffins as suggested by the magazine and I found that my muffins took 25 minutes at 350. I turned down the heat to make sure they browned without overcooking. Since I couldn't eat this recipe I called in my guinea pigs/family for their opinions. My husband really loved these muffins. He said that the taste of the dill and salmon worked well together and they were a nice size to grab out of the fridge for a snack. 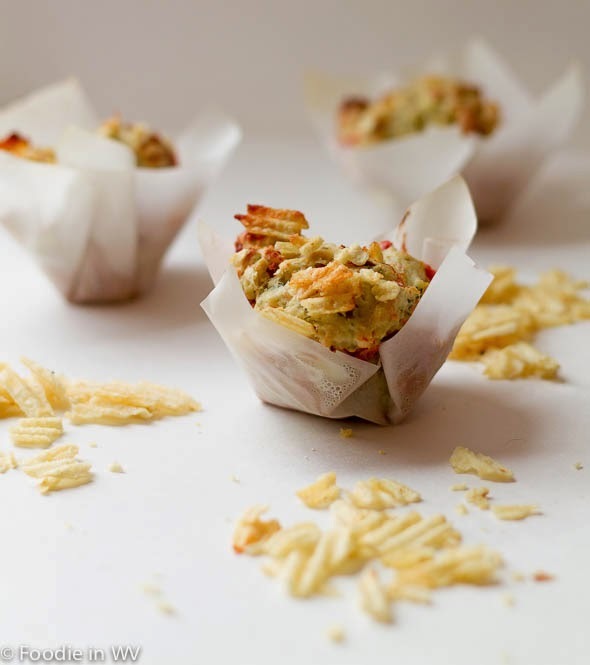 My oldest son is a huge smoked salmon fan and was very pleased with these muffins as an after school snack. 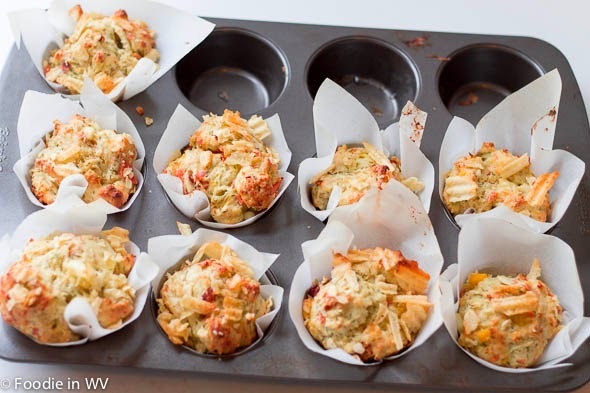 I am a fan of any recipe that uses a muffin pan, I love my muffin pan. Baking and cooking in a muffin pan is a great way to have portion control and makes for easy snacks for kids to be able to grab without help. 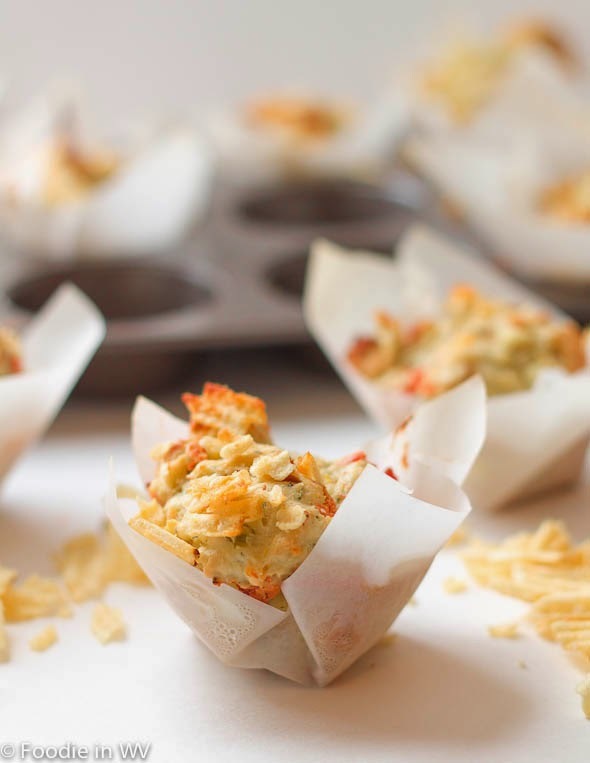 For the recipe go to Savory Smoked Salmon and Potato Chip Brunch Muffins. This is a fun and creative breakfast meal. I like it! My dad was big on breakfast during the weekends, and I looked forward to it. Those were special times. whenever i make salmon, i always season with dill...i definitely this they work together! these are too cute and look yummy! I love salmon and dill together too :) They are delicious! Look beautiful and I love salmon. Thanks :) I love salmon too! OMG, this looks amazing. I love all the ingredients so I'm sure I'd enjoy this recipe. You're sweet, thanks :) All the ingredients work really well together! I love breakfast foods, too and that is why we have breakfast for dinner so much! Thanks for the nice comments :) My kids loved these muffins! I am too, if I have too much sugar in the morning I am tired the whole day. So I try to make sure I have something savory with protein. Hmm...my DIL loves salmon like no other (that is her go-to holiday meal). I am def. sending her this link. I am a huge salmon fan as well, it's yummy! I'm going to make this for an Easter brunch I have to go to next week. I think it will fit right in. Thanks for posting this.